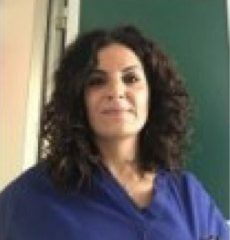 Dr. Maria Teresa Gallo graduated in 1988 in Medicine and Surgery at the Università Cattolica del Sacro Cuore in Milan and in 1993 obtained a specialization in Cardiology at the University of Rome Tor Vergata. During the specialization has dealt particularly echocardiography for the study of hypertrophic cardiomyopathy and dilated cardiomyopathy. From 1993 to 1997 he attended the CCU dell'Aurelia Hospital in Rome and later, from 1998 to 2003, he worked at the CCU of the Clinica San Feliciano Rome. From 2002 to 2005 he attended the Electrophysiology Center Fatebenefratelli Hospital in Rome and the Echocardiography Service for the study of dilated cardiomyopathy. Facoltà di MEDICINA e CHIRURGIA - Università degli Studi di ROMA "Tor Vergata"